As the state’s third-fastest growing city, Commerce City is redefining itself for the next generation, building on historic values of community, industry, agriculture & family. 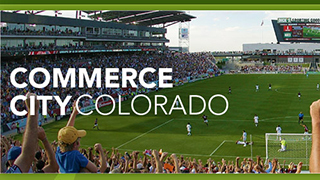 Commerce City is a Quality Community for a Lifetime, with 25 miles of trails, a championship golf course, 840 acres of open space and parks, one of the country’s largest soccer complexes & the nation’s largest urban wildlife refuge. Sign up to be called for, and participate in, all of our events. Join Mayor Sean Ford, Councilwoman Crystal Elliot and Councilman Steve Douglas,Councilwoman Nicole Frank, Councilman José Guardiola and Councilman Benjamin Huseman on this Access Live event to hear about current issues in the city. Participants will also be able to ask City Council questions live or online.